This is a topic I plan to return to regularly because there is nothing like a visit to a successful model to show how a program element can work. Social bike businesses rely on sustainable business practices in order to serve disadvantaged people with bicycles for the long term. Today I’ve chosen two program elements important to this principle—normal business hours and bicycle careers—along with programs that are doing a particularly good job with each. Normal business hours establish a social bike business as reputable in their community. While many bike programs survive with hours convenient only to their volunteers, those that commit to opening at least six days a week during the day like most bike shops will draw customers and significant income beyond their small circle of friends and enthusiasts. This requires hiring employees, because volunteers should never be expected to perform duties that are critical to the success of the program. This would put undue stress on volunteers who are justified in prioritizing personal problems over the bike program’s needs. On the other hand, an employee is expected to solve personal problems outside of work hours if they expect to keep their job. Once normal business hours are set, employees will have to open and close the shop on time to build trust in the community. 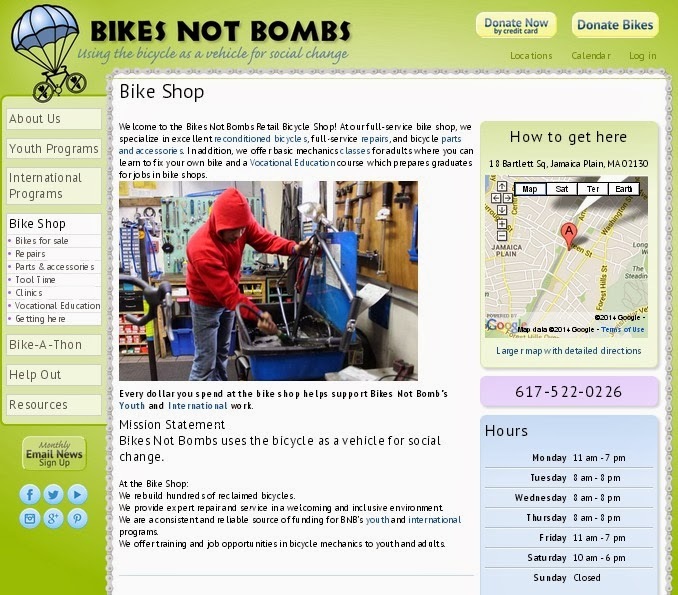 Today, I would like to highlight Bikes Not Bombs in Boston as a nice example of a social bike program that has found that balance of good works through bicycles while maintaining a professional and reliable bike shop. Comprehensive social bike programs always include career training, job opportunities and guidance for disadvantaged people who want to open their own business using bicycles. 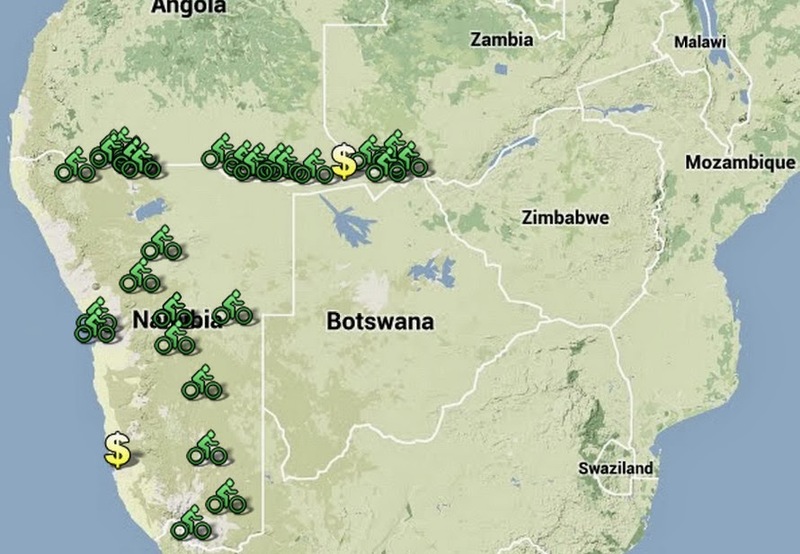 Today I want to highlight Bicycling Empowerment Network Namibia for doing all of that and more. BENN works with partners all over the world to bring bikes and parts into Namibia that become the start up capital for Namibians to launch their own bike shop. To date BENN has helped these local business folks open and succeed with 32 bike shops throughout the country. They also work with the unique dreams of each entrepreneur. Some prefer to open other sorts of businesses that can be transported with a bicycle, perhaps a mobile fruit vendor or even a farmer desiring to transport harvests to farther, better markets. BENN also offers ongoing bicycle mechanic training so that graduates can either open their own bike shop, become a mobile mechanic or find a job in an established bike shop. All of these program elements combine to lift BENN to the top of the success stories we’ve learned about, especially regarding career training and support of new bike businesses. Have you benefited from the program services of either of these or similar programs? Do you know of other programs that I should consider highlighting in later posts? Please offer your thoughts in the comments section. Yes! Normal Business hours. It seems like such a simple policy, but also one of the most difficult to enforce, especially with the organizations among us that lean so heavily on our volunteers. I'm really looking forward to meeting with Bikes Not Bombs youth representatives at the Youth Bike Summit in a couple of weeks! So true, Taylor! Even with paid employees this can be difficult. All of you at Neighborhood Bike Works are getting really close to being a model for this as well and maybe down the line you can offer ideas on how to work with volunteers to open and close the shop.